Revolutionizing Inside Sales through Mobility! Offers Powerful Mobile Inside Sales CRM with a ton of features such as Powerful Auto-Dialer (with various modes and templates covering delivery of sms, mms, email, audio, video and document during call prospecting), Geo-Tracking, Intuitive Reporting with automatic capturing of every action, Financial and Accounting module. 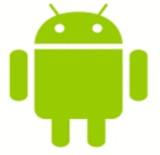 CBS Information Systems Inc, a leading Mobile Inside Sales CRM provider releases FieldWorkMobility (http://www.fieldworkmobility.com) its Android version with 10 new languages. The 10 new languages added are—Spanish, Russian, Portuguese, Dutch, French, Arabic, Chinese, Korean, Japanese and Vietnamese. The company also offers iOS version and Salesforce version of the app as well as a dashboard on the cloud for managers to manage remote sales executives around the globe. According to John Rhine Regional Marketing Director at Nerium International This app allows me to keep track of the people I am calling, take notes about my conversation, export them into a CSV file and much more. What a great sales tool. I have been looking for an app like this that is priced right and this one is. Thank you for creating this app!!! The company CEO Mr. Anjul Katare says that this release will fulfill the demand of worldwide non-English speaking users. He said that the users from non-English speaking region have been requesting the language support, since locally they have to deal with clients in native language, so having an app in the same language tremendously help! Mr. Katare also says that with the new release, we now cover 70-80% of languages used by the sales executive population. His vision is to see this app in every inside sales executive’s smart phone! . Why there is a need for such a mobile centric solution? Mobile devices are increasingly becoming the first go-to device for communications. Gartner, Inc estimates that today, 45% of workers in the United States are out of the traditional office for a minimum of eight hours per week. Also the study reveals that 70% of mobile professionals conducts their work on personal smart devices. Sales executives are constantly on the go, whether they're meeting with clients, flying out to give a presentation, or running to team trainings. With this in mind, mobile access to sales systems aren't just a nice to have -- they're a necessity. Fieldworkmobility is specifically designed to meet the requirements and to manage the day-to-day activities of sales executives. This app has been enclosed with all the latest and up to the date system of the technology that empowers the sales executives and increases the sales revenue of the organization. It offers Powerful Mobile CRM with a ton of features, Powerful Auto-Dialer (with various modes), templates covering delivery of SMS, MMS, email, audio, video and document during call prospecting, Geo-Tracking, Intuitive Reporting with automatic capturing of every action as well as Financial and Accounting module. The app is fully integrated with salesforce.com and fieldworkmobility.com dashboards for sales executives and managers. About CBS Information Systems Inc: CBS Information Systems Inc is based in Newark, CA founded in 2008. CBS Information Systems Inc has developed FieldWorkMobility, MySalesDialer, Mjobforce app on Android, iOS and Salesforce Platform. CBS Information Systems Inc also offer other IT Products and Services to businesses. Please visit us online at http://www.cbsinfosys.com/ .